The wait is over and the announcement has been made – the 2011 edition of the ‘Big Four’ or ‘Big 4’ show will be held on April 23 at the Empire Polo Club in Indio, California. 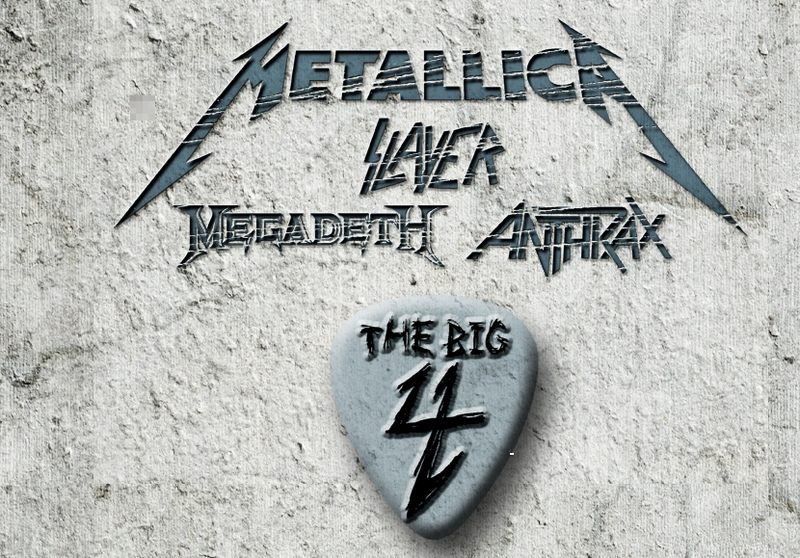 The Big 4 festival brings together four legendary bands of thrash metal – Metallica, Megadeth, Slayer and Anthrax. “Four of the heaviest bands of all time, share one stage for the one and only U.S. appearance, Saturday April 23rd 2011 – Empire Polo Club, Indio, CA,” read an announcement on ‘The Big4’ Facebook page. The announcement came after the anticipation was built up on the social networking site and other social media platforms like Twitter on the upcoming announcement. “Announcement Tuesday January 25th 8am PST,” said the earlier post. The ticket sales will begin on Friday, January 28 at 10 am. Megadeth Fan Club members have a day’s advantage with tickets’ presale beginning on Thursday, January 27 at 8 am PST. Metallica also announced that Fan Club members can check MetClub.com for pre-sale and VIP package info. The 2010 edition of the Big 4 festival took place on June 2010 at Sonisphere Festival at Vasil Levski National Stadium, Sofia, Bulgaria. The DVD of the show and a limited-edition guitar pick was unveiled in the year-end. “You’ve probably heard us all say it . . . the vibe was just so incredible at last year’s Big 4 shows that we can’t stop now!! So we’re finally bringing the love to our home turf on April 23, 2011 with ‘Tallica, Slayer, Megadeth, and Anthrax in Indio, CA at the Empire Polo Club (yes, the more observant of you will note that this is the same spot where the Coachella Festival takes place the weekend before),” a statement on Metallica.com read. “I think it would be a super-fun thing to do. It’s something that I would definitely support. It’s something that I would love to encourage. It’s something I love to be very proactive in putting together. But right now it’s not something that really left that party; it’s not something that’s like hush-hush being worked on behind the scenes or anything like that. “I went to the Prodigy concert having heard only a handful of tracks of this electronic band from UK. The big beat classics ‘Smack My B*tch Up’, ‘Firestarter’ and ‘Voodoo People’ were in my mind as I strode into the Palace Grounds for the inaugural edition of ‘Invasion fest’. The feast of electronica was indeed an entirely different experience compared to the metal concerts that am used to. Right from the first beat, the entire crowd was on their feet, swaying in tandem. Alice Cooper’s traditional Christmas Pudding concert this year turned special for two reasons: the announcement that ‘No More Mr Nice Guy’ will be among those inducted into the Rock and Roll Hall Fame, and the reunion of that classic Alice Cooper lineup to honor the 10th anniversary of Pudding. 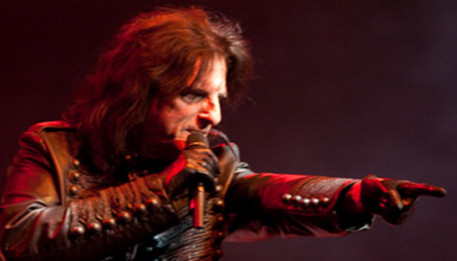 Alice Cooper is among the 2011 inductees, a list that includes Neil Diamond, Dr John, Darlene Love, Tom Waits, Jac Holzman, Art Rupe and Leon Russel. The shock-rock legend, however, had no idea that the yearly pudding feast is going to get double tasty this year. “The great thing about it, was I asked the guys to come in for this before I knew anything about the Hall of Fame. Before we were nominated, we were gonna do this. So everything happened while we were all here in our hometown, where we started,” media reports quote Cooper as saying backstage at the Comerica. Speaking to Free Press days ahead of the concert, Cooper attributed his entry into the Hall of fame to his made-in-Detroit history. “We weren’t about peace and love; we were too abrasive for LA,” said Cooper. “We thought the whole world should be about Ferraris, switchblades and blondes and it was in Detroit that people were screaming for us to turn it up. And we did,” the 62-year-old is quoted as saying on Wednesday, while rehearsing for his annual Phoenix-based Christmas Pudding concert with members of his classic lineup including drummer Neal Smith, Michael Bruce and Dennis Dunaway. “I am so proud to say I’m from Detroit, but more than that – it’s where we belong. When I heard bands like the Stooges, MC5 and Ted Nugent’s Amboy Dukes, we were among kindred spirits. It was a brotherhood. And outsiders, although they may take a step backward when they see us, they definitely respect Detroit artists,” he added. Cooper along with the other artists will be inducted during a ceremony March 14, 2011 at the Waldorf-Astoria hotel in New York City. “I haven’t thought too much about the ceremony, but we’ll probably play ‘School’s Out’ and “Eighteen,’ the two anthems I imagine people want to hear most. And if Jeff Beck or Paul McCartney want to come out, we might let them play …Are you kidding? We’d pass out,” he remarked. Last year, eleven artists were inducted into the Hall of Fame including ABBA, Jimmy Cliff, Genesis, The Stooges and The Hollies. Although we are kicking ourselves for not being among the lucky thousands who had the pleasure of watching the original line-up of Alice Cooper stir up ‘Music, Magic and Mayhem’, the induction of Alice Cooper into the Hall of Fame would probably remain one of the highlights of the year. Alice Cooper, for us, is one among the legends – recalling whom we often end up grumbling- “They don’t make music like this anymore”. Growing up listening to Alice Cooper made us understand anger and respect rebellion.